A group of landowners, local businesses and elected officials is crying foul at the way the rulings went, on two proposed natural gas pipelines for Virginia. The Water Control Board held off on a final decision on the Atlantic coast pipeline, pending further review. However, it OK’d a similar pipeline for southwestern Virginia. After Virginia’s State Water Control Board came to two different conclusions about two, proposed natural gas pipelines, the group filed a lawsuit asking a court to reconsider the decision. Bill Wolf is with Preserve Craig County. He says, the board’s approval of a water permit for the Mountain Valley Pipeline, slated for southwestern Virginia, was rushed through, while a similar pipeline, slated for central Virginia, will get further study about its effect on water quality. The Mountain Valley line would run from Pennsylvania, through the steep terrain of West Virginia, and the southwestern region of Virginia. Mara Robbins is with the Blue Ridge Environmental Defense League. She’s says the different rulings amount to a double standard, to the detriment of a too often, forgotten part of the country. “People have referred to West Virginia as a sacrificial zone for a long time and I think there are many people along the path of the mountain valley pipeline that have felt that we’re kind of an afterthought. These are the same pipelines. It’s a 42 inch, fracked gas pipeline and yet these decisions are being made differently. " In its lawsuit, an appeal to an earlier decision, the group contends the water quality approval process was rushed and important information dismissed by the board. They’re asking that the ruling be re-considered with the same additional information the board requested for the Atlantic Coast Pipeline. According to Public Information Officer for Virginia’s Department of Environmental Quality, Ann Regn, it is not appropriate for DEQ to respond to the challenge directly. 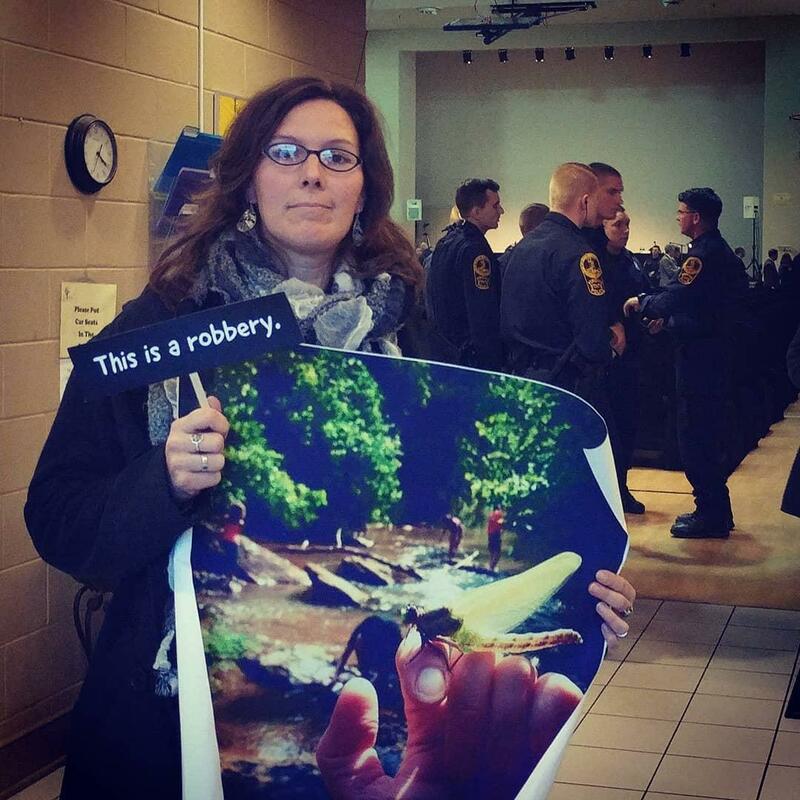 From BREDL's Mara Robbins Face Book Page: That dragonfly on Carolyn Reilly's hand in the photo she is holding is one of the many things the Commonwealth of Virginia is trying to steal from her and her family today. This photo was taken right before they pushed us out the door. Guess who got to stay? MVP. But she said, “The agency has been diligent to ensure that all appropriate practices are in place to meet all water quality concerns identified. DEQ has worked closely with its attorneys to make sure the agency has met all the requirements of state and federal law for which it is responsible. If this project proceeds, DEQ will hold the developers to the highest standards for which they are accountable. The case is headed to the fourth circuit court of appeals where a hearing is expected in mid-January. Anti-pipeline advocates are taking stock this week, after a confusing set of decisions by state regulators. They’ve decided to treat two pipeline projects differently, granting approval to one but demanding more review on the other. Anti-pipeline protesters were vocal through two days of public hearings on the Atlantic Coast Pipeline. But when a vote finally came, there were no rounds of applause, no shouts of anger. Just confusion. The controversial Atlantic Coast Pipeline faces its final regulatory hurdle in Virginia: permits to be voted on by the state water control board. The two day board meeting began Monday morning with a pump-up for anti pipeline activists. It’s been a year since the state announced an agreement with DuPont – a company that allowed mercury to pollute the South River in Waynesboro. The firm agreed to pay $50 million, and this weekend the governor showed up to take a bow, but not everyone was cheering. After two full days of public hearings, Virginia’s State Water Control Board has given its stamp of approval on the Mountain Valley Pipeline. 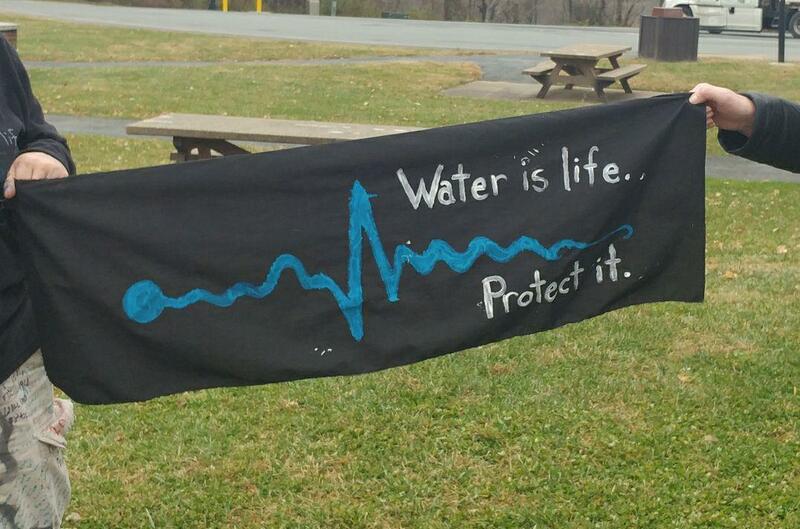 The pipeline is slated to carry natural gas, running 300 miles through southwest Virginia.